Whether intentional or not, Haute Horologer Richard Mille’s latest Red-White-Blue limited edition series comes to the brand’s boutiques in the Americas less than a month ahead of the United States’ Independence Day. The three watches that form the RM 022 Tourbillon Aerodyne Dual Time Zone collection, however, do not draw admiration solely for their evocation of the US flag. The timepieces stand out with their ingenious mechanisms, informed by the aerospace industry. 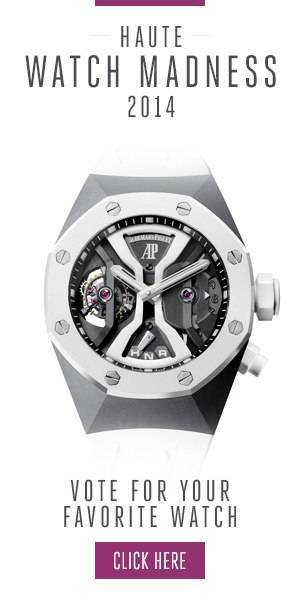 Richard Mille borrowed an alloy initially developed for the wings of supersonic aircraft – a honey-comb-patterned orthorhombic titanium aluminide fusion – to use in the tourbillon for added strength and torsional resistance. It also followed the aerodynamics of a jet’s wings to design the RM 022’s baseplate and the light manual-winding movement, which balances on four arms.The aerospace references do not cease here, though. The new watches feature a tripartite case from Quartz TPT® and Carbon TPT®, exceptionally sturdy materials from the world of aircraft-making that offer both function and style. Used for high-performance applications thanks to their capability to withstand scorching temperatures, the Quartz fibers are aligned in layers no thicker than 45 microns and dyed in red, white or blue resins. Then, after automatic-positioning systems stack and adjust the layers to 45 degrees, they are heated to 120 degrees Celsius and subjected to pressure of 6 bars. The Carbon fibers follow a similar process. The result, produced at Richard Mille’s manufacturing facilities, is astoundingly strong front and back bezels and case. Much like the outer elements of the watches, the dual time zone indicator boasts technical sophistication, which, nonetheless, does not take away from the user experience. The movement powers a transparent sapphire crystal disc, whose inscribed hours only become visible on a clear background at 3 o’clock. Meanwhile, a pusher at 9 o’clock offers simple adjustments, with each impulse adding an extra hour. The three exceptional RM 022 Tourbillon Aerodyne Dual Time Zone editions come in 10 pieces, each.